July 22 , by Mardi Robyn. Remember the tutorial I posted last month “DIY Sea Stone Rings” by Zina? Here is another fabulous tutorial by Zina that will show you how to turn sea stones into a trendy bracelet. I like this idea! The bracelet can be worn by both male and female. Zina claims you can make this in under 10 minutes! How is that for a quick and easy tutorial! 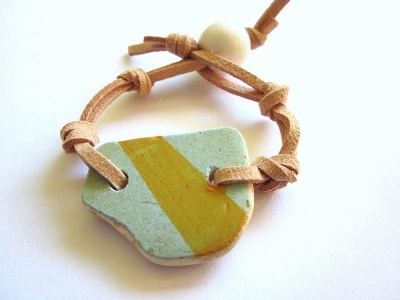 Check it out and see how she created this DIY Sea Stone Bracelet.